Emily Reo talks pop, pups, and what she would do if she were Beyonce for a day. 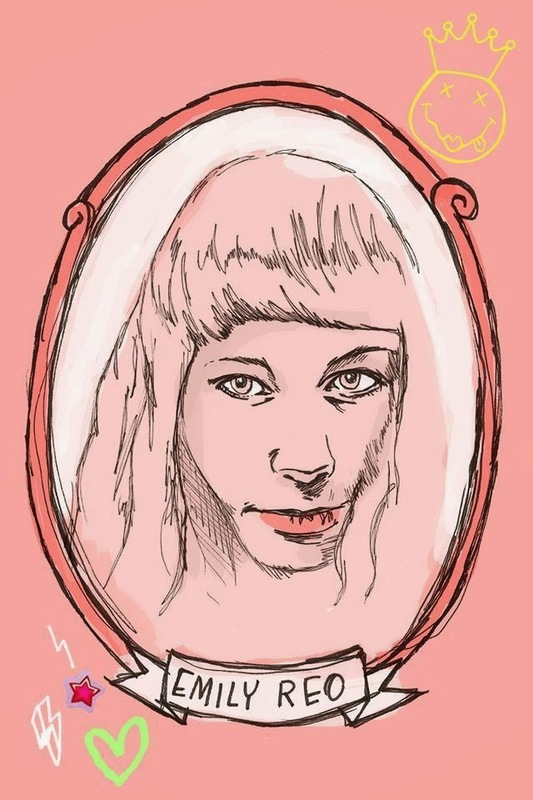 The first time I listened to Emily Reo, I was floored by the sounds emanating from my headphones. Emily's ethereal sound feels like being wrapped in the softest blanket. I wondered, how does Emily Reo make music that causes me to daydream rather than do my homework? 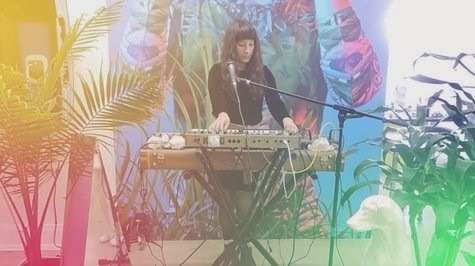 How does Emily Reo do it? Last September, Emily released her second LP, Olive Juice on Elestial Sound, an art collective and label based in Gainesville, Florida. THE LE SIGH caught up with her to discuss touring, musical inspiration, and smoothies. THE LE SIGH: Your tour with R.L. Kelly and Yohuna sounds perfectly dreamy. What are some of your favorite memories of the tour? Emily Reo: 'Smells Like Queen Spirit' was everything I could ever dream of in a tour. I just wish it had been a million years long! I love being on road trips and driving through mountains so getting to see a lot of California again was awesome (but it was extra fun having a car packed with girl-pals who could appreciate my playlist of Mandy Moore, Spice girls, 3LW, etc). When we got to San Francisco, we watched Raising Arizona at The Castro, which was the most gorgeous theatre I've ever been to, so that ruled. We also did some shopping, got juice, explored the Haight-Ashbury area before being touristy and watching the sun set at Golden Gate Park. It was just really great to go on a mini-vacay with four of my favorite people in the world! TLS: I can't even imagine how you create your music, can you give me a basic walkthrough? ER: Haha, okay! My process for creating and playing live has changed a lot since I first started writing. I used to have to finish a song within a few hours of starting it or I'd never come back to it or get into the right mindset again. So my early stuff was a lot more minimal and the recording quality was bad, but I think I had a certain focus and naivety and curiosity that made those songs special. When I started playing shows I tried to replicate the recordings exactly with a band, which I think was sort of limiting. Over time, I started learning how to make my recordings sound better, but that changed the writing process into a recording process and now it takes a long time to finish something entirely since I'm getting caught up with the mixing/eq-ing/effects. When I moved to New York, I needed to start playing shows on my own, so I had to get creative with electronics to fill the space I wanted to make live. I feel like taking songs I hadn't spent much time recording the first time around and re-working them for my live set helped me establish a more complete sound with new gear and new intentions. That's how Olive Juice happened, about half of the songs were re-recordings of early songs (or demos is what they feel more like) that had developed through my live set over the course of a few years, and the other half of the songs were things I wrote while learning how to improve my recordings and experimenting with new techniques. Olive Juice has been complete for almost a year and a half now so I've been working on a lot of new materials, which has taken a more electronic turn. Right now I'm really inspired by R&B from the 90s and '00s, and lately I've been having a lot of fun making beats. It's a total 180 from where I started, finishing all of the elements of a track in one night. I have songs I've been working on for over a year now and I feel like my next album is coming together in pieces, like I'll go through a phase where I only want to work on the percussion for everything, then the melodies, then the vocals and so on. I'm excited to see how everything comes together this way since this process is unfamiliar territory. But that's why creating is exciting! TLS: You are from Orlando! I'm from Florida too! People always associate Florida with palm trees and Disney World, but I definitely spent most of my time bumming around the suburbs. Can you briefly describe your thoughts re: youth. Florida, boredom, etc.? ER: Whoa, hey, Florida friend! Yeah, when I moved to Florida from upstate New York at age 9, I was super upset and didn't really get over that until around college. As a young kid I got used to living in a pretty rural environment, and I couldn't get used to urban sprawl and subdivisions with no trees. The lack of seasons was the weirdest, especially going through winters without snow. I guess it just felt like it was lacking character, but as I got older, I started realizing that Florida just had a really different character. It definitely doesn't look like the northeast, but the nature in Florida is totally mind-blowing. There are so many lakes, trails, gardens, beaches, all that look totally unique to the Southeast...and that blistering heat almost seems comforting when you're cold and away from it. It took moving back to New York to make me realize how special Florida is. Thankfully, before I left (and while I was in college), I became involved with some things that made me a better person, like WPRK, the radio station at my school, which taught me about the deep-running music community in Orlando. Also, Dandelion, a veg cafe/garden/community where I worked though school and met some of the most living and inspirational human beings alive. So when I moved away, I had developed a deep appreciation, and haven't been able to find any sort of replacement for most of my favorite things about Florida. TLS: What was your first show like? TLS: What are some other careers that interest you? ER: Since I already feel like I'm a half retired stay-at-home-cat, I'm going to list careers that I can't see myself ever having but seem very fun nonetheless: fashion designer, filmmaker, museum curator, herbalist. When I was 16, I wanted to make watercolor paintings of sports cars. A car artist. Cartist. ER: I've mostly been listening to pop and R&B lately, a lot of Computer Magic, Tinashe, Banks, Aaliyah, Diana, Jessy Lanza. Also sampling wizards like Different Sleep, Evenings, Blithe Field. And lots and lots of Frankie Cosmos! TLS: Your music makes me feel groovy and peaceful. Whose music causes you to experience those feelings? ER: Aww, for me those adjectives apply to Yohuna, Moss of Aura, White Hinterland, and of course Mariah. Also, Noah just introduced me to Lullatone, which is not so much groovy, but most definitely peaceful and some of the most beautiful wintery sounds in existence. ER: Probably somewhere around a -4. TLS: What was your favorite band when you were 15? ER: Oh geez! I think this was right around the time that I was transitioning out of my depressed adolescent Jimmy Eat World phase ("Clarity" forever) and learning about "indie music." I think Feist's "Let It Die" came out when I was 15 and that album definitely changed things for me. I had never thought about writing music before hearing that, but singing along to those songs endlessly planted a seed somewhere in my mind, or at least annoyed my neighbors very much. TLS: What is the composition of your ideal smoothie? ER: Anything with ginger! And I totally love tropical fruits like mango, pineapple, coconut, passion fruit, etc. Also, one of the most amazing smoothies I've ever had was a peanut butter and jelly smoothie. Sounds weird, tastes like heaven. TLS: Have you ever won a contest? ER: When I was in elementary school I was really into drawing and I would enter this Halloween art contest every year. I won four years in a row! However, I can't think of a contest I've entered since my age has been in the double digits. TLS: What has been your favorite pet? ER: I have the most wonderful pup on the planet, named Petey, after Petey from "The Little Rascals" because he had little circles around his eyes when he was really tiny. He's almost 11 now, but he still looks like a lil dude. He will always be my heart and soul, in high school he even knew which guys were jerks and would growl at them! TLS: Petey is now my favorite pup I've never met. Describe your current wardrobe. ER: Small! Ha. City hopping over the past few years has def shrunk my wardrobe and moving across the country in a small car sealed that deal. I mostly shop at thrift stores and I look out for fun patterns, mostly florals or 80s throwbacks with a good color palette. I also value interesting cuts, like necklines, and anything sparkly - most of my socks are sparkly. TLS: What are your top gas station snack purchases? ER: Salt and vinegar kettle cooked chips! On tour I try to eat cheap and stay as healthy as possible, so having a jar of peanut butter on hand is great for picking up a banana at a rest stop. I also love Nature Valley oat bars because I'm a weirdo and chocolate because I'm a person. TLS: What would you do if you could be Beyonce for a day? ER: Get rid of my fur, figure out if I'm a feminist, and tell my sister she rules.